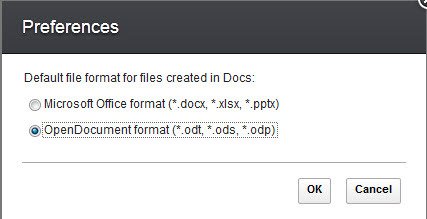 In IBM® Connections Docs, documents can be created either in .docx or .odt format. You can change the default file format as you like. Click the file format that you want for new files.